Lumia 620, the nominal price smart phone from the popular smart phone manufacturer Nokia is now officially launched in India on Nokia online store for Rs. 14,999. The smart phone is featuring advanced smart phone technology options. 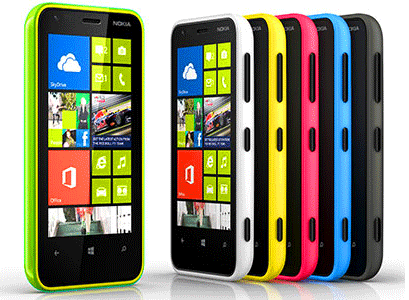 Nokia Lumia 620 comes with a brilliant 3.8 inches TFT LCD WVGA display with Clear Black technology. The display system is protected by the popular Corning Gorilla Glass. The handset is powered by 1GHz dual-core Snapdragon S4 processor. The Lumia 620 runs Microsoft’s latest Windows 8 operating system. 512MB of RAM, 8GB internal storage and 64 GB expandable memory are the memory features of the device. Dual digital shooters are the main attraction. The main camera enables 5 MP quality and the secondary camera on VGA. The handset carries a standard 1300 mAh Li-Ion battery which provides 14.6 hours talk time. 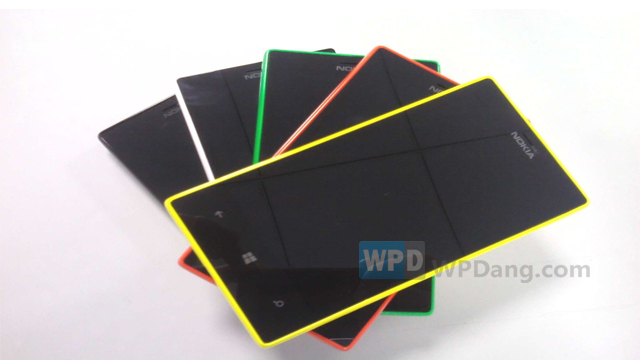 Considering the price tag of the Windows 8 smart phones, Lumia 620 will be the cheapest. According to the popular online retailer Filpkart.com, the smart phone is scheduled for pre order with a free gift of Sandisk 16GB memory card. Now the official Nokia webpage is offers a price Rs. 14,999. The Company provides one year manufacturer warranty for Lumia 620 and six months warranty for box accessories. Free transit insurance also available along with the purchase. Earlier, Nokia launched awesome Lumia series smart phones named Lumia 510, Lumia 610, Lumia 710, Lumia 800, Lumia 820, Lumia 830, Lumia 900 and Lumia 920. Both smart phones have attractive features. Nokia is expanding their prestigious Lumia smart phone series. 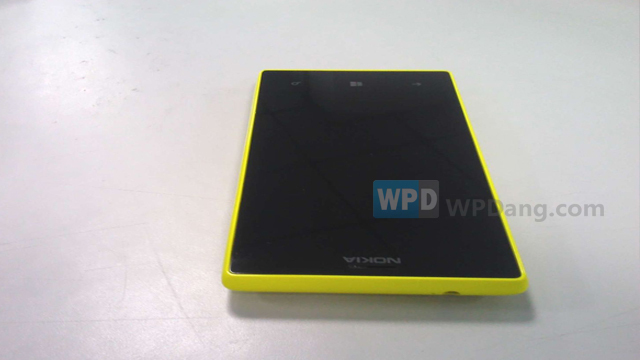 The Company recently announced another Lumia handset named Nokia Lumia 620. The smart phone comes with 3.8 inches TFT LCD capacitive touch display with Corning Gorilla Glass protection. The Corning Gorilla Glass protects against the scratches and bumps of the display. The Clear Black WVGA display also provides a decent ppi (pixel per inch) density. 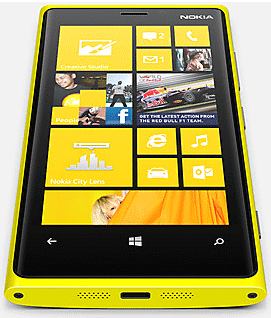 Nokia Lumia 620 is powered by 1GHz dual-core Snapdragon S4 processor with built - in graphic acceleration. The smart phone enables decent memory options like 512MB of RAM and 8GB of internal storage. There is also a micro SD memory card slot for expanding the storage up to 64 GB. 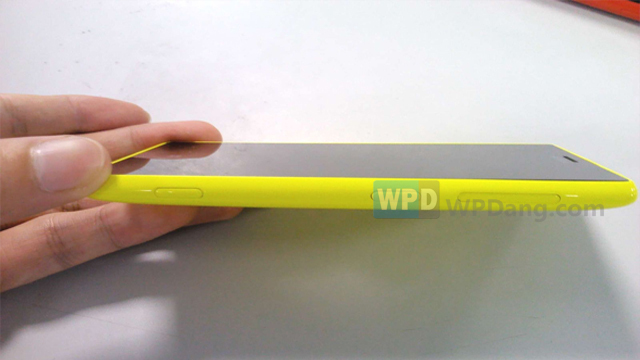 Nokia Lumia 620 sports 5 mega pixels rear camera with auto focus and LED flash. There is also one VGA front camera for video calling purpose. HD (720p) video recording is available on the handset. Microsoft’s popular Windows 8 operating system provides the platform. Nokia also enables their 'dual-shot' technique which helps creating new colors and textures for this smartphone. The handset includes a standard 1300 mAh Li-Ion battery which provides 14.6 hours talktime on GSM and 9.9 hours on WCDMA. Nokia Lumia 830... an awesome smart phone comes with 4.6 inches IPS display with 300+ ppi (pixels per inch density). The smart phone sports a 12 mega pixels rear camera with auto focus and LED flash and runs a dual core processor. 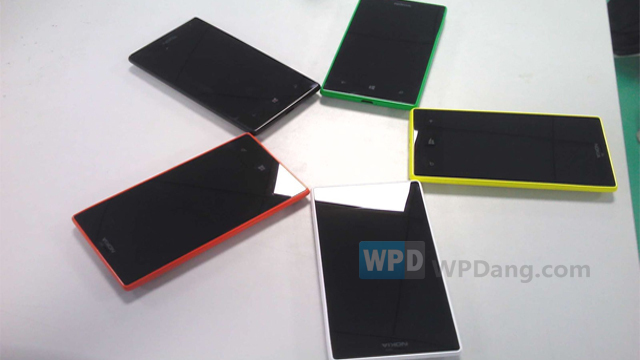 Here we published the stunning images of Nokia Lumia 830 with the Courtesy of Chinese website WPDang.com. Here you can easily check and test the smart phone features through its images. 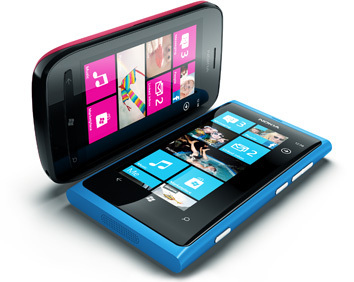 Nokia Lumia 920 is the new Windows 8 3G connectivity smart phone from Nokia’s Lumia series. Nokia Lumia 920 along with Nokia Lumia 820 is powered by latest Windows 8 operating system. Nokia Lumia 920 comes with 1.5 GHz Snapdragon Qualcomm S4 processor which is dual-core capability. The Snapdragon processor has enabled maximizing core performance and battery power saving features. Nokia climes that the processor synchronous technology for each cores that helped to control the powers. 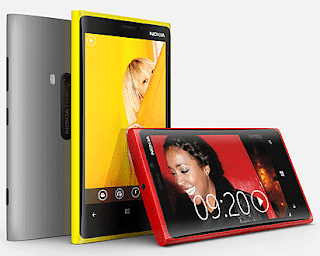 Nokia Lumia 920 has a brilliant 4.5 inches Pure Motion High Definition display with 1280 x 768 pixels resolution. Nokia Lumia 920 has 8.7 Mega Pixels rear camera with 4x digital zoom. Auto focus with two-stage capture key, short pulse high power dual LED flash, optical Image stabilization and Carl Zeiss Tessar lens are the special features of the capture settings. The Carl Zeiss Tessar lens provides a very large aperture range in the camera that allowed for very bright images even in bad light. The smart phone has also 1.2MP front facing camera for video chatting which is 1280 x 960 pixels quality. Video recording is in AVCHD (1080p) format and the format will compact all leading edit software. Nokia Lumia 920 comes with 1GB RAM and 32GB internal storage memory. There is no external memory card slot. But the huge 32GB internal memory is available in the handset and is sufficient. 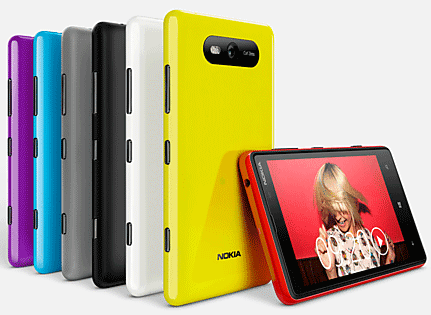 Nokia Lumia 920 powered by an inbuilt Standard BP-4GW 2000 mAh battery which provides 17 hours talk time in 2G and 10 hours talk time in 3G. 67 hours music play back time, 6 hours video paly back time and 3 hours video recording are the features of the handset. Advanced connectivity options like 3G, Wi-Fi, Bluetooth, GPRS, WAP, WLAN, micro USB and ActiveSync are available. 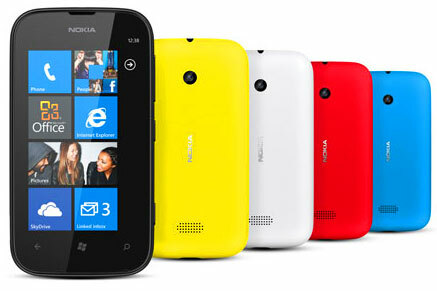 Nokia Lumia 920 will be available in Black, Gray, Red, Yellow and White colors. 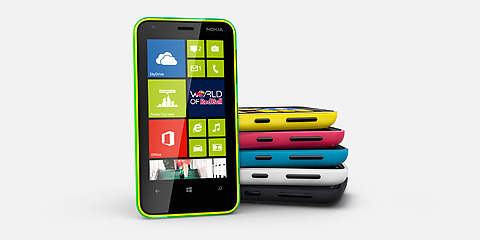 Nokia Lumia 820, the newcomer of Lumia smart phone family which is powered by latest Windows 8 operating system. 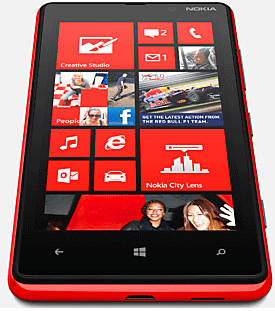 Nokia Lumia 820 comes with the powerful Qualcomm S4 dual-core processor which is 1.5GHz. The processor provides maximizing core performance level without wasting battery power. Nokia climes that the processor enables a synchronous technology for each cores that helped to control the powers. The smart phone has a brilliant Clear Black AMOLED display which is 4.3 inches large and 800 x 480 pixels resolution. Nokia Lumia 820 also comes with 8MP camera and its features like 4x digital zoom, auto focus, dual LED flash and Carl Zeiss Tessar lens. The Carl Zeiss Tessar lens provides a very large aperture range that allowed for very bright images. The smart phone has also a front facing camera for video chatting which is 0.3MP and 640 x 480 pixels quality. Full HD (1080p) video recording is another attraction and the AVCHD video format will compact all leading edit software. Nokia Lumia 820 comes with 1GB RAM and 8GB internal storage memory. The smart phone has one SD card slot which is suitable for micro SD cards up to 32GB of expandable memory. Nokia Lumia 820 powered by Standard BP-5T 1650 mAh battery which provides 14 hours talk time in 2G and 8 hours talk time in 3G. 55 hours music play back time and 5 hours video paly back time are the features of the handset. Advanced connectivity options like 3G, Wi-Fi, Bluetooth, GPRS, WAP, WLAN, micro USB and ActiveSync are available. Nokia introduced an excellent Smart phone from the Nokia Lumia series -NOKIA LUMIA 900. Nokia climes that Nokia Lumia 900 features are have creative, useful and fun. Nokia Lumia 900 has fabulous sound system and sensitive design. The 4.3” AMOLED clear black glass touchscreen give us a tremendous visual technology and experience. Windows Phone 7.5, newly designed Operating System which is equally considers Symbian OS and an extra durability and easy utility. Nokia Lumia 900 has an excellent 8 MP leading camera with dual LED flash and auto focus, 1 MP front camera for video calling, HD video recording with 3x digital zoom, Stereo FM radio, Wi-Fi, Internet, Bing, Internet Explorer 9, HTML 5 etc. are the main features in the device. Nokia Lumia 900 battery life is remarkable and insure up to 8 hours talks time. Internet connection through Nokia Lumia 900 is really amazing. Nokia Lumia 900 has a clarity stereo headset and monster. Nokia Lumia recommended accessories are Nokia universal car holder CR-123, Nokia purity HD stereo headset by monster, Nokia purity stereo headset by monster, Nokia Lumia Bluetooth headset, Nokia j Bluetooth headset, Nokia play 360 wireless speaker, Nokia dual USB charger DC-20. Nokia Lumia 800 now available in stunning white- awesome look and fabulous design. 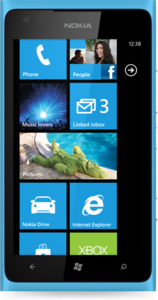 Nokia Lumia 800 is one of the Symbian OS smart phones. But some troubles were identified earlier, now the company updates the Operating Software to Symbian belle. Nokia Lumia 800 is now in Symbian belle. The battery performance was in trouble due to the Battery status software. Maximum battery capability is up to 2 days. Wi-Fi technology is another issue. Some costumers said that Nokia had kept more attention about design and skipped simple features. File transfer with other mobiles through Bluetooth feature was unavailable.Nokia Lumia 800 cannot connect a PC as an USB device. But recently the Nokia company resolves these problems and updates the version. Amazing experience happen day by day in the world of mobile phones. Nokia., one of the most popular mobile companies in the world tries to catch young customer’s colorful mind. They can fulfill their dreams? Don’t know. But marketing analyzers tell us that now in Indian market the name ‘Nokia’ is an icon especially in middle class youth. I think Nokia also aimed majority of the middle classes in India and make models with balancing both price and style. 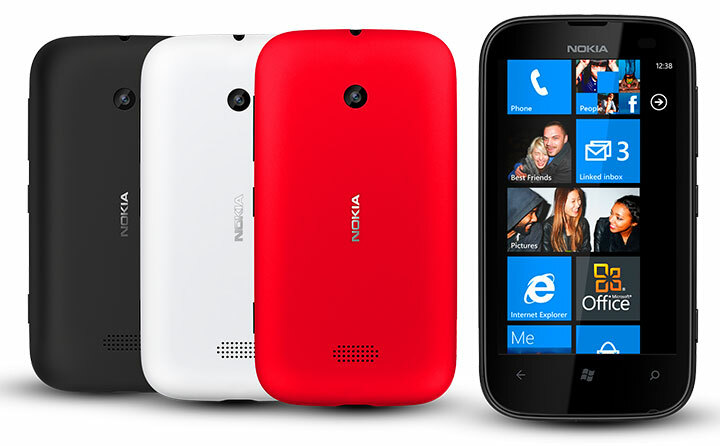 Nokia mobile family introduced Nokia Lumia models. Now in the market three models are available. They are Nokia Lumia 610, Nokia Lumia 710 and Nokia Lumia 800. If you look a mobile with stylized experience these are the right options. 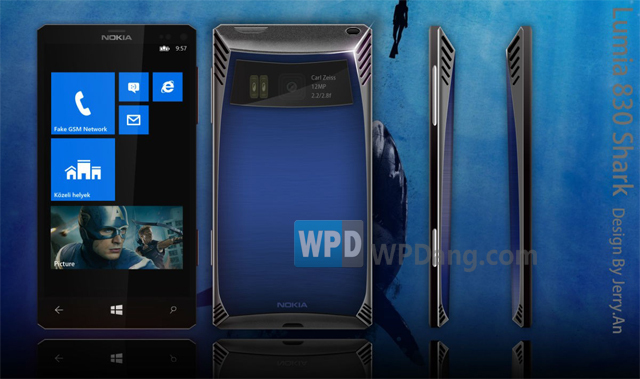 The main stylized feature in the device is support for Nokia Drive 2.0. Turn by turn voice guided navigation is the main attraction. This features designed for driving experience. This car user interface is similar for Apple mobile’s ‘Siri’ (Speech Interpretation and Recognition Interface) In Nokia Lumia, web browser is Internet Explorer 9- the latest browser from Microsoft Windows. It makes the web connection become faster and easier.